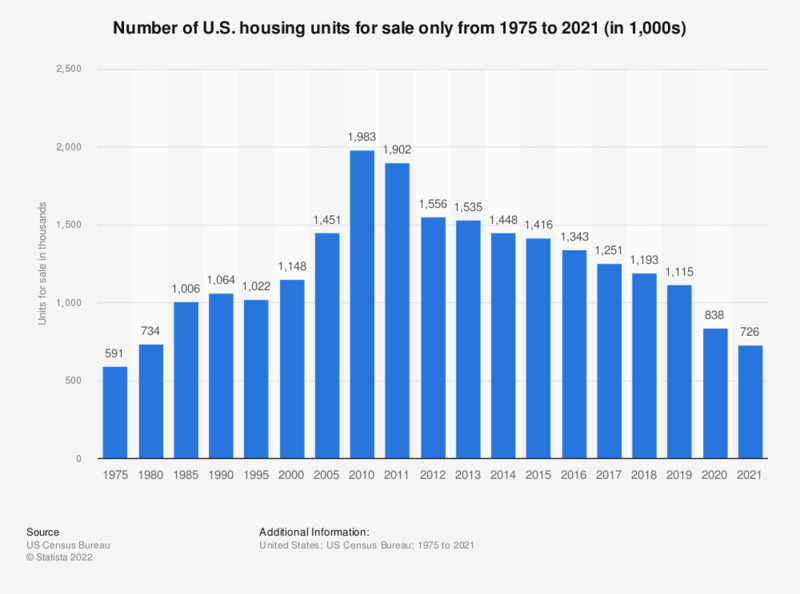 The graph illustrates the number of U.S. housing units that were available to the market for sale only between 1975 and 2018. In the United States, there were approximately 1.19 million housing units for sale in 2018. The source does not provide any information to the exact date of publication. Inventory of new double-width manufactured homes in Midwestern U.S.